For most, the battles stay on the pitch. For Ryan Ferguson, his battles are off it. So yeah, I'm back another one of these story things.... I'm still not quite sure why. Anyway, welcome one and all! I've returned (yet again) with another tale to tell of my adventures in to the world of FM. Some of you may have been around long enough to recount my adventures with Vauxhall and Luton Town, while I have also brought to you adventures with Whitehawk and a crazy German. For those of you who may not be familiar with what my stories might contain, sit tight as I try my very best to entice your attention for what will hopefully be a gripping and eventful journey! Well, as is becoming a common theme with my FM saves, you will have to catch up quite a bit to where I've journeyed to. Eleven whole seasons have passed since the beginning of the adventure, and we now find ourselves in 2027. A lot has changed in the world, but you need not fear the unknown, as I shall endeavour to bring you up to date in every important aspect! Some of you may remember this guy from previous adventures of mine. For those of you who are looking at him for the first time, this is Ryan Ferguson. The Liverpool-born Englishman begins this journey as a very young, but wise, manager, looking to make his way in the world. With no experience and a constant strain of critics for him to overcome, Fergie must deliver a brand of football which brings success wherever he goes, while keeping his truly faithful supporters excited. While Fergie's brilliance shines on the pitch in this story, it's the battles he faces off it that will be sure to intrigue. A life dedicated to football is a life empty without it. He may succeed in mind games against José Mourinho, Slaven Bilić and Unai Emery, but can he win the battle in his mind? Here we go, looking forward to this mate. Sir Ryan Balik Ferguson CBE. That was my full name and title. The first and last three letters were not chosen by my family or myself. They were awarded to me for my achievements in football management. I had become only the fifteenth football personality to receive knighthood, and it was an honour I cherished. I did not set out on my career with the purpose of achieving this title, but I had no intention of denying those who wished to seem me earn it fulfill their wishes. It was what they wanted. They wanted a hero to look up to, and I had no concerns with stepping in to that role. I had become an idol for millions of football fans across the globe. I had it all. The success, the fame, the glory, the money. I had come from nothing to becoming the manager of the greatest team in the world. I had achieved it all in just eleven short years. At thirty three years of age, I was expected to become, by far, the greatest manager in history. It was an incredible expectation, but one I certainly managed well on the pitch. The top managers in history - José Mourinho, Sir Alex Ferguson, Carlo Ancelotti, Pep Guardiola - they all managed the pressure they faced with aplomb. 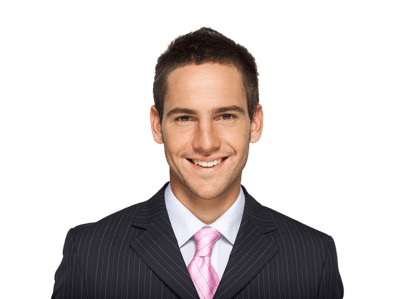 I had broken in to this category of manager, and I was exceeding any expectation set. One thing they don't teach you when you get your coaching badges is that when you reach the top, there is no place higher you can go. You have two options left; to fight to remain where you are, or to drop back down. Dropping down was not an option for me, I only knew how to fight. But the thing was, in that position, each victory became less spectacular, while each defeat became unbearably painful. Mental health in football had come to the forefront of discussions, particularly in England and Germany, in the twenty-first century. The suicides of former German international Robert Enke and former Welsh manager Gary Speed certainly rocked the world. 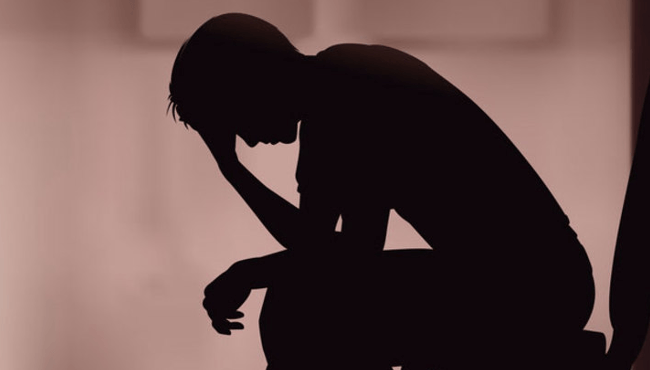 The revelation of the difficulties faced by Ryan Giggs and Aaron Lennon, which of course were not solely related to football, had again left people pondering how mental health could be managed. By 2020, football personal had the best psychiatrists and facilities at their disposal to combat their issues. But at the end of the day, no amount of psychological education could prevent mental health issues. The human mind was the most powerful machine in the world, capable of incredible invention, but also of devastating repercussions. I knew all too well how both sides could impact a person's life. As a football manager, my progress had become relentless. With every new season came a sharp increase in the pressure I faced, but I always came out on top. I was the coolest man in the world on the pitch, in training, in interviews. The pressure focused me on the task at hand, and I almost always delivered. The problem was, for me, that I was always focused on the job. The pressure had bent me in to something not human; a machine of football management. I thought of nothing else, I was not capable of anything else. Eleven years of management at the age of thirty three left me with no real life experience, and I had no life outside of football. While I loved the pressure in football, it transformed me in to an alien outside of it. I was no longer human. My life had become lifeless, in its own sense of the word. This had to change. I realised that during the winter months of 2026/2027. I focused on finishing the season and preparing a list of transfer targets for the following summer before looking to address my issues. There was a war ongoing in my head, and I was losing. I needed help. I needed somebody who had more life experience than I to help guide me to becoming a human again. That's why I found myself in a psychiatrist's office in June. It was my first time there, and I immediately felt comfortable. I was sat in my chair in a cosy and quiet room. It was, in it's own way, a place where I knew my mind could grow. I could learn to escape from my job when needed. Yet, even while I sat there, all I could think about was football. Sat across from me, on the other side of a mahogany desk, was a woman no older than I, relaxed in her seat. Her slender frame was directed at me, as was her focus. She had no pen or paper in front of her. No material of recording information was to be seen. Between us sat two cups of coffee, it was a relaxed environment. Doctor Lucy Benson brushed back a strand of her black hair with her fingers and smiled. She crossed her arms and relaxed her shoulders even more. A warm draft filled the room from an open window, as if the world knew how important the next piece of dialogue would be. Over the next year or so, for a few hours every week, I would recount every detail of what brought me to where I was at that stage, including my rise as a football manager. As the draft warmed me, Lucy's lips parted and her words opened a vault of memories and emotions. "So, Ryan, what do you want to talk about?" The south coast of England was possibly the least English part of the country when it came to tradition and lifestyle. Often referred to as the 'sunny south coast', it was a region renowned for its national parks and sea activities. With just 33 kilometres (20.7 miles) separating England from France, a mix of traditions and cultures had shaped the community to be somewhat of a breath of fresh air from the stereotypical seriousness of the English. A place of peace and serenity, it was not a region renowned for its footballing exploits. Indeed, in 2016, just Southampton and Bournemouth represented the south coast of England in the English Premier League, with Southampton due to participate in the upcoming UEFA Europa League season. Only one major trophy had returned to the south coast in the 21st century, with Portsmouth lifting the FA Cup in 2008, while Portsmouth were the latest team from the south coast to win the top flight of English football, with that occurring in the 1949-1950 season. However, the power of football in England was shifting. The days of northern English clubs dominating the charts were over, following the decline of the likes of Liverpool, Manchester United, Newcastle United, Blackburn Rovers and Leeds United. While Manchester City's rise had sparked some excitement, the 'Big Four' of the English Premier League had been taken over by Chelsea, Arsenal and a vibrant Tottenham Hotspur in recent years. Teams from the south coast had played their part in recent seasons, with Southampton qualifying for the upcoming UEFA Europa League, while Bournemouth's progress under Eddie Howe had not gone unnoticed. With Portsmouth on the rise after their club-shattering slump, and Brighton & Hove Albion looking to break in to the English Premier League, it was an exciting period of time for south coast clubs. 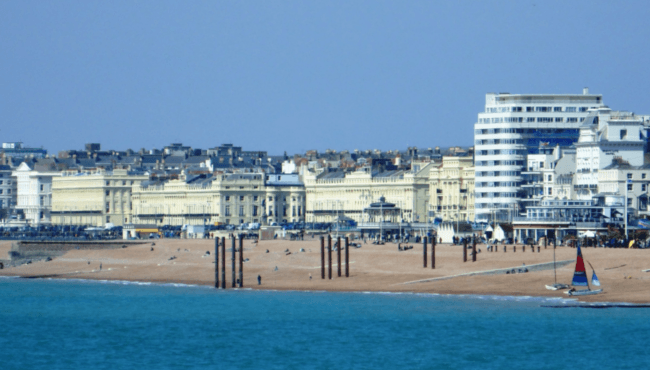 I knew that as I walked the streets of Brighton, soaking up the June sunshine as I enjoyed an ice-cream cone. I was twenty two years old at the time, fresh out of university. Four years of studying had rewarded me with a physical education teaching degree, but it was earning my FA coaching badges that excited me. It was my dream to become a professional football manager, and to be able to live off my earnings in this department. I had previously hoped to make it as a player, and I was a part of the youth system of my childhood club Liverpool. I had even been signed a professional contract at the age of seventeen, but I was then released a year later due to a lack of progress. I was a hard worker, but never really had the technical attributes to make it. I decided not to search for another club to take me on, and instead attend third-level education, and earn my coaching badges. Four years later, I was walking away from an interview with the chairman of a regional conference team. I was persistent in my attempts to earn the opportunity to present my ideas and philosophies to the chairman, and was rewarded with a meeting in a local coffee shop. I did not expect to be in the running for the job, and so I had no pressure in the interview. What I did was present my ideas on how the club could progress on the pitch, demonstrating my studies on recent tactical trends across the country, and how to combat them. I always believed it was important to stay one step ahead of recent tactical trends. In the conference divisions, the emphasis had changed from physical play to being quick on and off the ball, in recent seasons, and I had ideas on how to counteract this pacey football. The chairman was impressed, and we discussed how the club could improve off the pitch. While we both agreed improving facilities was detrimental to the progress of any football club, it was the atmosphere generated by the playing and other staff at the club, as well as the fans, which made a great football club. The meeting ran its course, and I was invited to the club's temporary official building in the city, with the clubhouse under maintenance duty. A one year semi-professional deal was offered to me, and I signed my name without hesitation. It was a dream-come-true for me, and one I was never going to turn down. At the time, I could not have possibly expected my stay to be as successful as it had become. I didn't even expect to have the opportunity in the first place. Yet, as I walked away from the office, enjoying my ice-cream, the moment was perfect. I had stepped in to the world of football management. 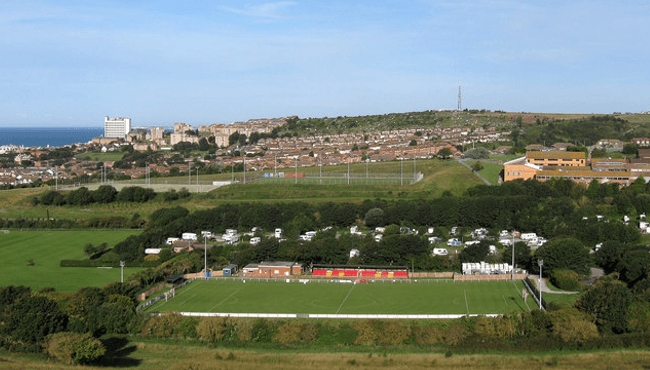 I had began my journey, and it was with Whitehawk Football Club. Very nice introduction right there. I hope you take Whitehawk above and beyond. "With Portsmouth on the rise after their club-shattering slump"
Amazing start mate, though I expected it. InfraRed, ScottT, MJK46, Sudbury & AaronHJFT96, many thanks guys, I'll try not to disappoint! Whitehawk Football Club have confirmed the appointment of Ryan Ferguson as their new first team manager. The unknown twenty-two year old replaces former manager Richard Hill, who resigned from his position for private reasons. The appointment defied all odds, with a number of far more experienced managers having shown interest in the position. Born in Liverpool, Ferguson was a part of the youth system for the Reds of Merseyside and was handed his first professional contract as a player at the age of seventeen, just five years ago. However, he failed to impress the hierarchy at the club, and his one-year contract expired the following year. At the age of 18, Ferguson attended university in Manchester, and gained his FA Coaching Badges in the following four years. 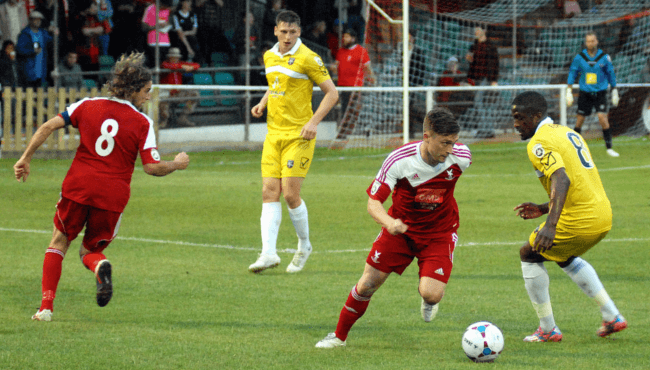 Club chairman Jim Collins was impressed with the twenty-two year old manager's in-depth knowledge of tactical trends, and was excited by the prospect of Whitehawk's on-field performances under Ferguson. Collins made firm his belief that Ryan Ferguson was the most suitable candidate for the job, adding that he believed the young manager would provide a breath of fresh air to the division. 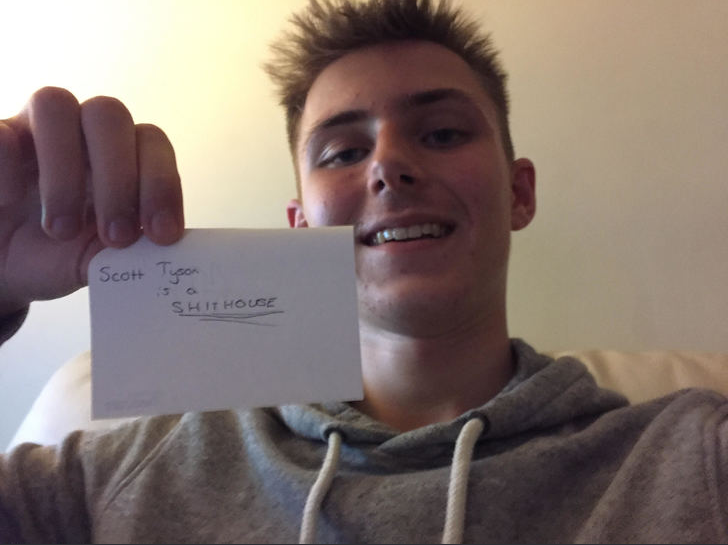 Ryan Ferguson signed a one year part-time contract with the club, worth an estimated £850 per week. In a press-conference earlier today both Ryan Ferguson and Jim Collins outlined their expectations for the upcoming season. They believed the club could win the Vanarama National League South title, given the strength of the squad in comparison to others in the division, and the reasonably secure financial health of the football club. The club had finished in play-off positions in both of the previous two seasons, but failed to secure promotion in the play-offs. Ryan Ferguson spoke of his delight in being appointed manager, and promised to excite the fans with attractive and inventive football. He was quick to praise Jim Collins for making the decision to hire the inexperienced man, and promised to keep the fans satisfied during his tenure. "I would like to thank Jim (Collins) and the rest of the board for handing me this opportunity. I am very happy to be here now and I hope to be here for a long time, if you will have me. 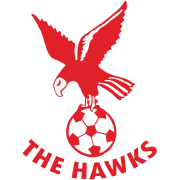 Whitehawk has a very good mix of experience and young talent and, with a little bit of hard work, patience and dedication, this team can win the league title this season. It is important that we get the fans behind us qucikly, as they are what make a football club great, and we will look to do so by making our home, The Enclosed Ground, an absolute fortress. I hope to bring some very exciting football to this club, while being able to cope with whatever our opposition throws at us. We have to earn the support of the fans, and we can do great things with their support behind us. To earn that support, we must work hard to be the best we can be, and that work starts now!" The next great manager has arrived!! Whitehawk certainly did the correct thing by hiring Ryan! I sense some great things to come to Whitehawk and Ferguson! You are reading "Ryan Ferguson: The Unorthodox Approach".